We’re counting down Your Top 104 songs of the 1970s and 1980s over two big weekends! 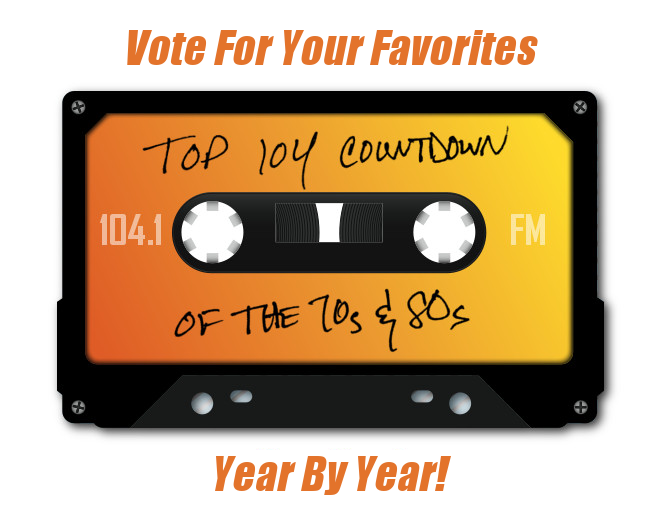 Vote for your favorite tunes year by year and listen for the ’70s on May 11-13 and the ’80s on May 18-20! You could win Def Leppard/Journey tickets just for voting!